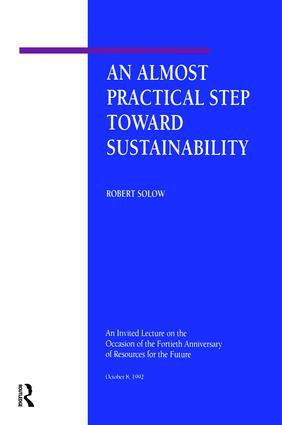 Nobel Laureate Robert Solow explores how changes in social accounting practice could contribute to more rational debate and action in crafting economic and environmental policy. A thoughtful work about the wise use of society's natural resources, intergenerational equity, and the translation of ideas about sustainability into real policy. Robert M. Solow is Institute Professor of Economics Emeritus at Massachusetts Institute of Technology and Nobel Laureate in Economics.